With Windows 10’s summer shipping date inching ever closer, Microsoft recently announced no less than seven editions for its highly anticipated operating system. Microsoft has detailed exactly what each version entails in their blog post, but for those who want a quick run down, this is what it all boils down to. 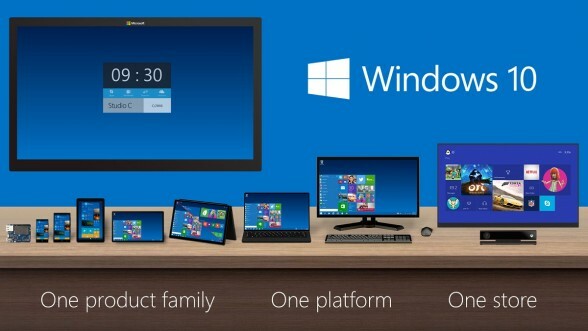 Windows 10 Home – Consumer oriented edition designed for desktop PCs, tablets, and 2-in-1s. It will come with new features like Microsoft’s Cortana Voice Assistant, Microsoft Web Browser, and iris/fingerprint login. Windows 10 Mobile – Exactly as its name suggests, Windows 10 Mobile will be designed for touch-centric mobile devices. Windows 10 Pro – Similar to Windows 10 Home Edition but with added features catering towards small businesses such as higher security, remote access, and advanced cloud technologies. Windows 10 Enterprise – Built on Windows 10 Pro, Windows 10 Enterprise will have even more advanced features like enterprise-level security, comprehensive device/app management, and a wide range of OS development options. Windows 10 Education – Designed to meet the needs of educational environments. Windows 10 Education will be available through academic Volume licensing. Users with existing Windows 10 Home or Pro will have the option of upgrading to Windows 10 Educational. Windows 10 Mobile Enterprise – A productivity-centric mobile operating system designed for smartphones and small tablets. It will feature the latests security technologies as soon as they become available. Windows 10 IoT Core – Designed for small, low cost devices such as gateways. As a reminder, users currently with genuine copies of Windows 7, 8, and 8.1 will be eligible to upgrade to Windows 10 within the first year of its release. An entrepreneur working on software. Also a business owner in financial sector and real estate.